Dr. Nikos Xanthoulis is a composer, ancient lyre player, researcher and professor of Harmony, Counterpoint and composition at the Conservatory of Athens, Greece. He is also an Assistant Researcher of the Academy of Athens. For twenty-five years (1983-2008) he served as the principal trumpet player in the Greek National Opera Orchestra and from May 2009 till 2012 he was heading the Educational Department of the same Opera. He was Tutor at the Greek Open University (2004-2017). As a composer and soloist, he has presented his music in Greece and Internationally. His works include translations of the ancient Greek music theoreticians. 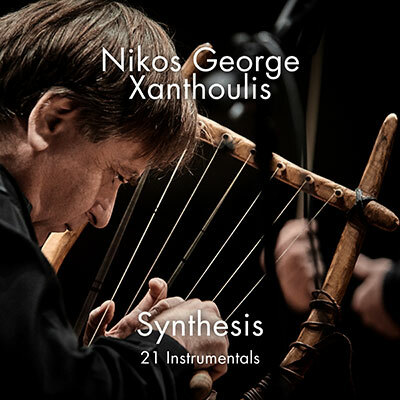 Xanthoulis has composed many symphonic works, operas, chamber music and incidental music for tragedies using reconstructed ancient instruments. Dr Xanthoulis is a Correspondent Member of the Archaeological Institute of America (from 2010). From 2014 to 2015 he was the Artistic Director of Public Broadcasting Orchestras and Choir (ERT). The last eight years he revived the technique of the ancient Greek lyre through his research based on the depictions of pottery and the ancient Greek literature.